LOS ANGELES — Family members of Chris Cornell on Thursday sued a doctor they say overprescribed drugs to the rock singer, leading to his death. Cornell's widow, Vicky Cornell, and their children, Toni and Christopher, are plaintiffs in the lawsuit filed in Los Angeles Superior Court alleging that prescription drugs, especially the anti-anxiety drug Lorazepam, led to erratic behavior from the Soundgarden frontman before his death in Detroit in 2017 at age 52. 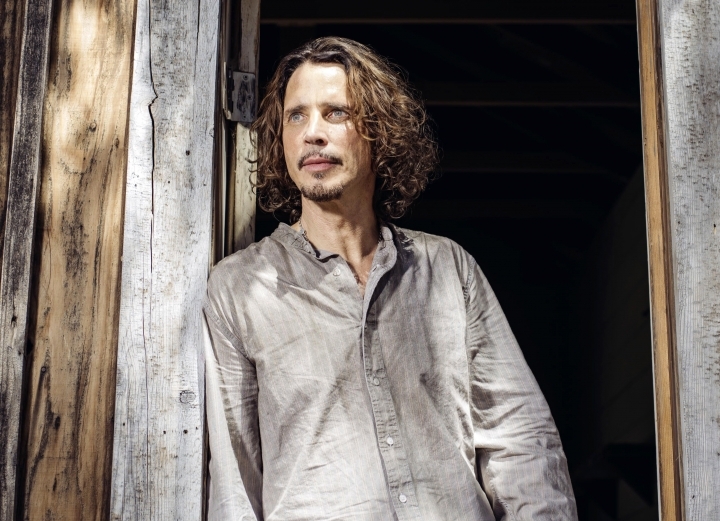 The lawsuit says Dr. Robert Koblin and his Beverly Hills office "negligently and repeatedly" prescribed "dangerous mind-altering controlled substances to Chris Cornell which impaired Mr. Cornell's cognition, clouded his judgment, and caused him to engage in dangerous impulsive behaviors that he was unable to control, costing him his life." It focuses in particular on Koblin's prescribing Cornell large amounts of Lorazepam — which is sold under the brand name Ativan — to Cornell in the 20 months leading up to his death. Coroner's investigators ruled Cornell's death a suicide by hanging. Toxicology tests showed the presence of Ativan along with barbiturates, caffeine, the anti-opioid drug naloxone, and a decongestant. But the autopsy report said the drugs were not a cause of death. The lawsuit says the doctor knew that Cornell had a serious history of substance abuse, and he failed to examine or consult with him as he was prescribing the drugs. The "unmonitored use of such excessive amounts of Lorazepam ... was known to increase the risk of suicide because it can severely impair judgment, thinking and impulse control and diminish the ability of a patient to think and act rationally," the lawsuit says. Staff reached by phone at Koblin's office said there was no immediate comment. Vicky Cornell has said since immediately after her husband's death that she felt the prescription drugs he was taking drove him to behave strangely, and there were no signs he might take his own life. "At the time of his death, Mr. Cornell had everything to live for and was planning a future of recordings, performances and continued work as a charitable activist," the lawsuit says. Cornell's wailing voice and his long-haired, shirtless stage presence made him an essential figure in the grunge-rock of the 1990s. Soundgarden was among the first groups to surge to national attention in a wave that later included Nirvana, Pearl Jam and Alice in Chains. Last month, a bronze statue of Cornell was erected outside the Museum of Pop Culture in Seattle. The lawsuit, which seeks damages to be determined later, also names anonymous staffers at Koblin's office as defendants. Cornell's oldest daughter, 18-year-old Toni Cornell, is also named as a defendant, but the lawsuit emphasizes that she is a nominal defendant only, as required by law because she is heir to her father's estate.